The FIA World Endurance Championship (WEC) has confirmed United Autosports as a full-time entrant in the 2019/20 season. The Anglo-American outfit will enter in the LMP2 class in WEC for the first time as a full-time entrant in the 2019/20 season, fielding a Ligier JS P217 being driven by the formidable pair of Phil Hanson and Filipe Albuquerque. The team co-owned by McLaren F1 boss Zak Brown and Richard Dean has been competing in the European Le Mans Series – both in the LMP2 and LMP3 classes. In fact, the team won the LMP3 class title in 2016 and 2017 respectively. “We are pleased to be able to announce our entry into the 2019/2020 FIA World Endurance Championship,” said Brown. “It has been the aim for United Autosports to enter the world championship for a while, but everything needed to fall into place so we could do it at the right time. Co-owner Dean said: “It’s been no secret that we have been trying to put a deal together to race in the FIA World Endurance Championship for some time now. It has relied on a lot of factors fitting together but I think it is the perfect time for United Autosports to make the next step in sports car racing. “We have two great drivers in Phil and Filipe. Filipe really has brought Phil on in only one year of working with him, so I’m confident that will only continue into the coming years. We have ultimate belief in Ligier Automotive and relish this opportunity to take on a world championship with their full support. “The championship visits some fantastic circuits too – some we have been to before and some will be new to us, but I’m looking forward to the new challenge ahead.” Both Hanson and Albuquerque have the experience of racing in WEC. Hanson said: “I’m really excited to be doing FIA WEC. I think it’s the obvious next step for us, having done the ELMS, Asian Le Mans Series and selected rounds of IMSA, including Daytona. I’m looking forward to continuing with United too. “They have nurtured me and helped my development as a driver significantly in the last year so I’m looking forward to continuing with the team in a very professional environment. I’m excited to be driving on new circuits too such as Sao Paulo and Bahrain. Albuquerque added: “I’m super happy to be back in the FIA WEC, I feel I have unfinished business there. I finished P2 in 2016 in LMP2 so now with Phil Hanson and United I think we really have the package to win. “It’s two years almost to the day that I met Zak and Richard and I could never believe our partnership would have got to this point. I’m excited to be racing in the 2019 ELMS and then going into the FIA WEC with them. “It’s a good relationship we have together and we have been winning some races so why not continue and let’s see where we end up.” The team will like to better its Le Mans 24 Hours record of finishing third in LMP2 class, which they achieved in 2018. WEC’s CEO Gerard Neveu said: “This is a very good way to start 2019! 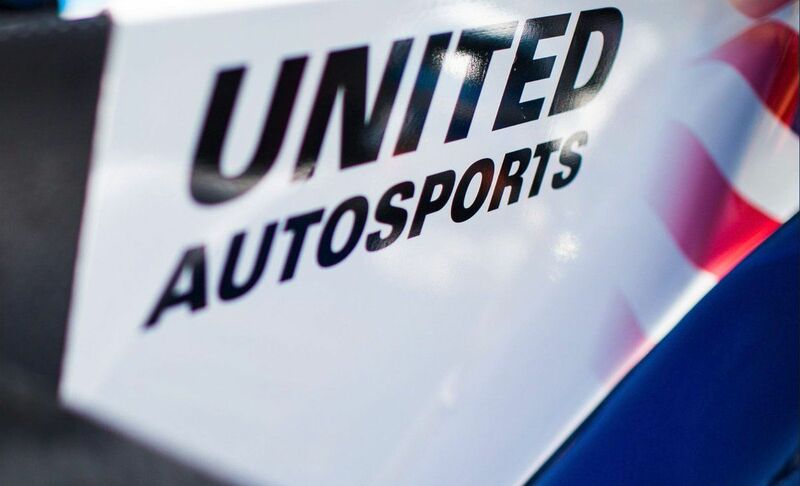 We are really delighted to welcome a team of the calibre of United Autosports to the WEC, and are confident they will make a very positive contribution to the LMP2 category and to the championship as a whole.